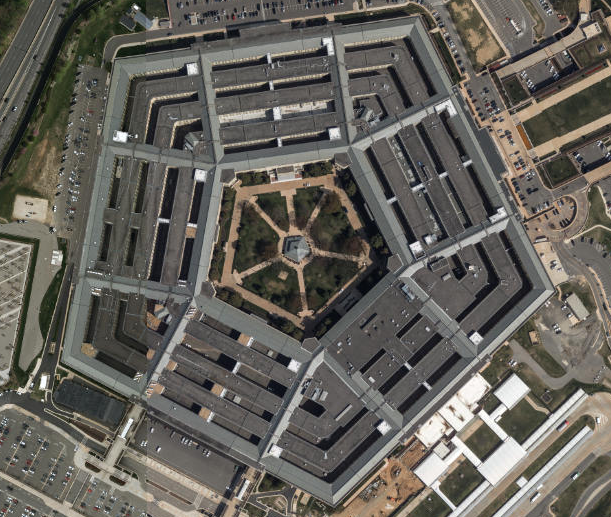 The Pentagon was constructed in 1941-43, to centralize the headquarters of the War Department and the US Navy in anticipation of war in Europe or perhaps the Pacific. On Thursday, July 17, 1941, a key member of the US Congress signaled that he could support construction of a massive, single building to consolidate War Department personnel who were scattered among office buildings in Washington, DC. 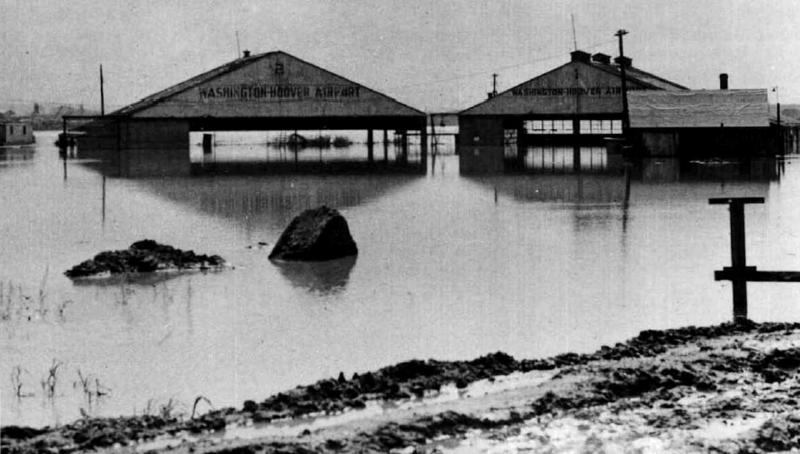 The War Department had already received assurances that the House Appropriations Committee would fund new temporary office buildings, and had relaxed its requirement that they be located in Washington, DC. 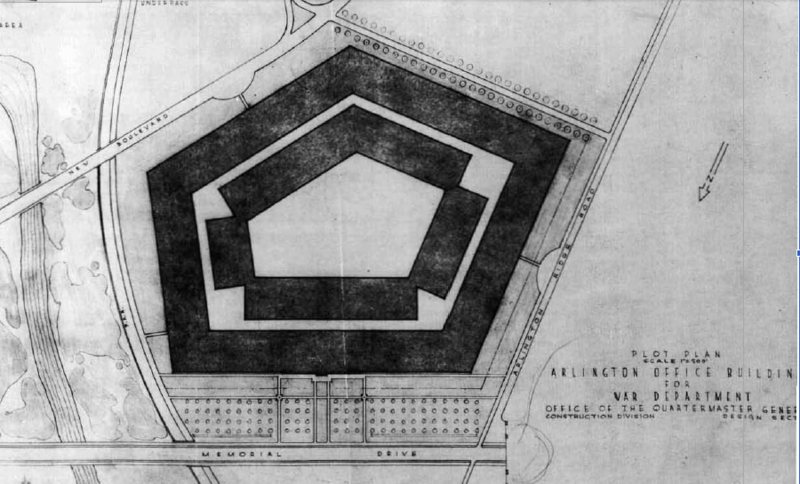 That evening, the head of the U.S. Army Quartermaster Corps' Construction Division, Brigadier General Brehon B. Somervell, told his architects that they had three days to design a structure with 4,000,000 square feet that could provide space for 40,000 workers and with parking to accommodate 10,000 cars. To minimize use of steel and elevators, the structure would be only four stories tall. Workers would use ramps and stairs to get up and down. In early 1941, Secretary of War Henry Stimson had planned to move the Army into new headquarters being completed on 21st Street. Once he realized that building was too small for the expected expansion of workers, he started the search for a replacement site. There was limited space for new buildings in the District of Columbia, and thousands of new employees there would exacerbate existing traffic congestion. Proposed sites in Maryland were too far away. 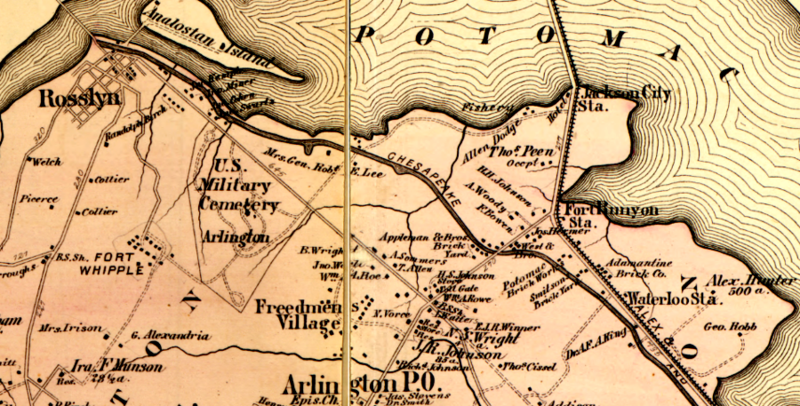 Stimson decided that the headquarters of the War Department would move out of the District of Columbia, to the Virginia side of the Potomac River, for the first time in the history of the United States. Construction of a new office building would reduce the need to build new "temporary" offices and rent space in the District of Columbia. After the Army offices moved to Virginia, the Navy could move into the vacated space in the Munitions Building on Constitution Avenue. One small advantage of building a new office in Virginia was that the War Department would not have to get formal approval of architectural designs and building materials from other Federal agencies with responsibilities inside the District, such as the Commission on Fine Arts. 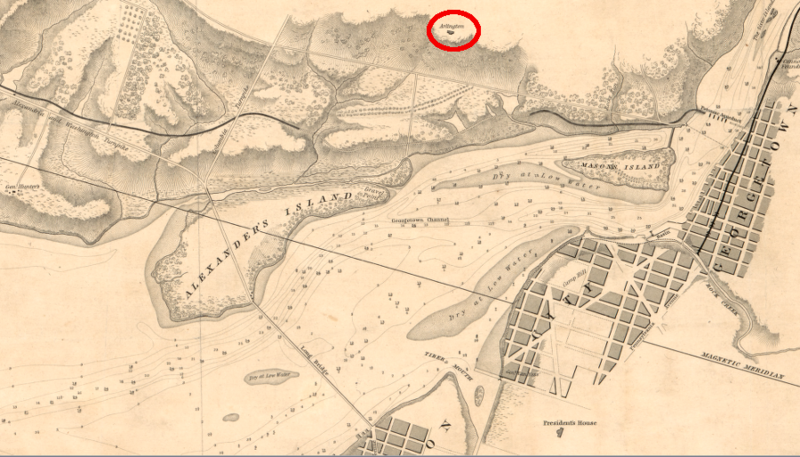 When Brigadier General Somervell first issued directions to his architects, he anticipated locating the new building at the Virginia end of the 14th Street Bridge, on a parcel southeast of Arlington National Cemetery. The Federal government had acquired the former Washington-Hoover Airport after National Airport opened on June 16, 1941. One day after Brigadier General Somervell spoke to the architects, he altered the planned location. 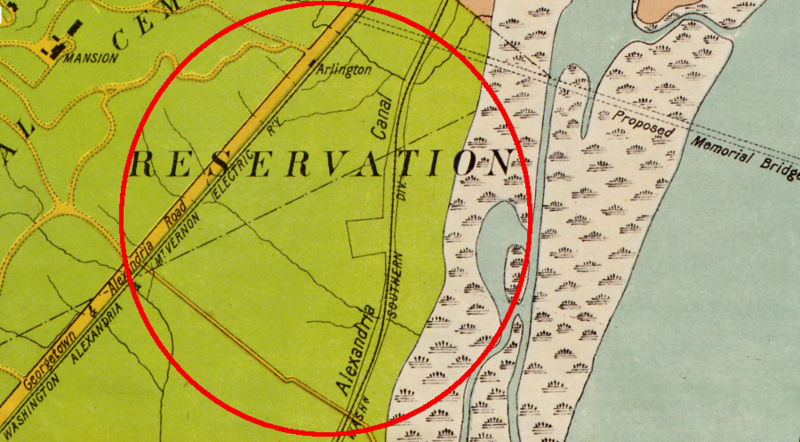 After being told the site of the former Washington-Hoover Airport was in the floodplain of the Potomac River, Sommervell decided to build one mile further north on a portion of the old Arlington Experimental Farm. The US Government had owned that second location since the Civil War. It was part of George Washington Parke Custis's 1,100-acre estate. Custis, grandson of Martha Washington, built Arlington House on the ridge overlooking the Potomac River and his farmland on the shoreline. His daughter Mary Custis married Robert E. Lee in Arlington House in 1831, and she inherited the property in 1857. In 1861, Union troops occupied the plantation at the start of the Civil War, after Robert E. Lee chose to resign from the US Army and lead Virginia's military forces. The Federal government built Fort Whipple on the same ridge as the mansion house, then confiscated the property after claiming Mrs. Lee had not paid taxes. In 1864, the Quartermaster General ordered that soldiers be buried next to the mansion house and started Arlington Memorial Cemetery. That guaranteed the Lee family would never live there again. Federal ownership of the estate was confirmed in 1883, when a lawsuit filed by the heirs of Mary Custis Lee was completed and they were paid for the land. 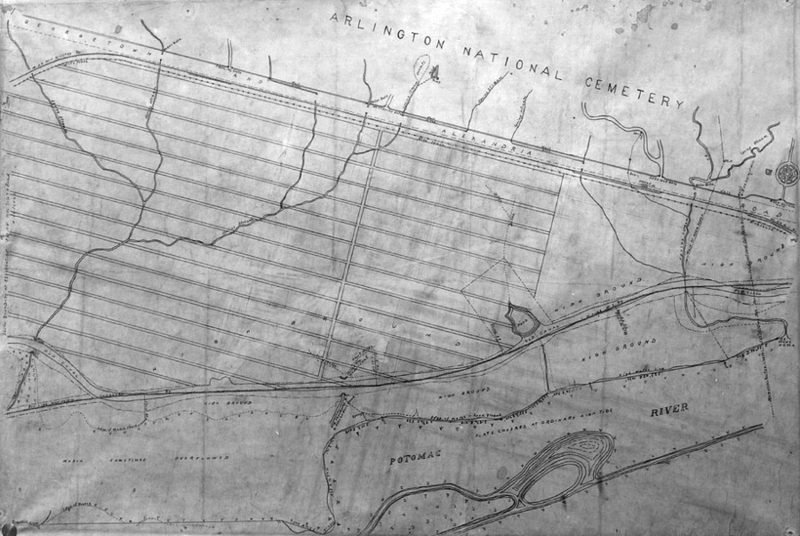 The 67-acre parcel was bounded on one side by the Georgetown and Alexandria Road (Arlington Heights Road), adjacent to the edge of Arlington Memorial Cemetery. 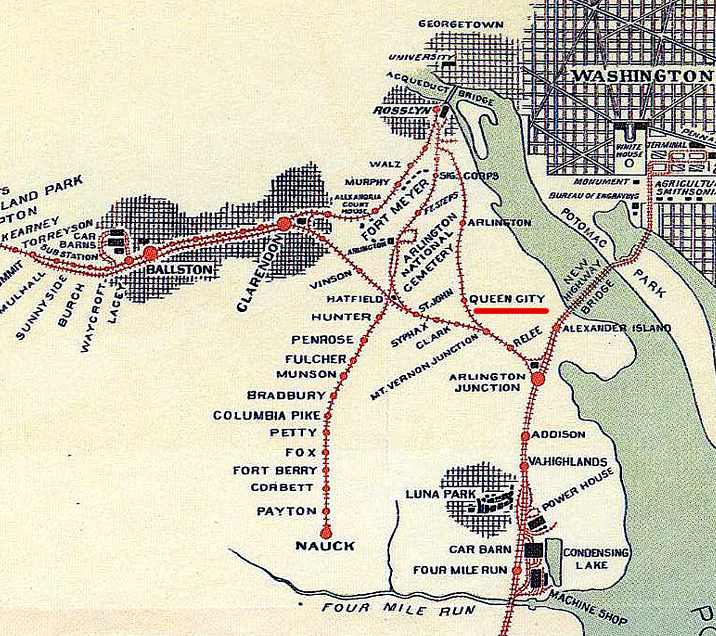 The Pennsylvania Railroad, using the line of the former Washington, Alexandria, and Mount Vernon Electric Railway, and the planned road from Memorial Bridge also constrained the planning. 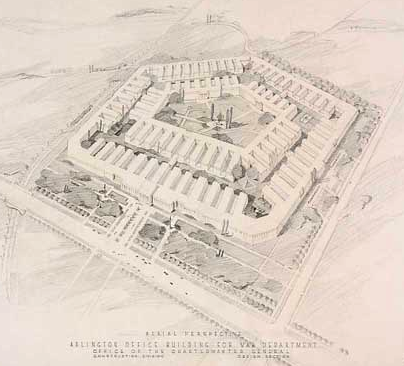 To build a structure large enough to meet General Somervell's defined requirements, the architects planned to construct a five-sided building in order to maximize use of the available acreage. In the original design completed over the weekend by the architects, the five-sided building would have two rings with a central court. The new site for the War Department headquarters immediately generated controversy. 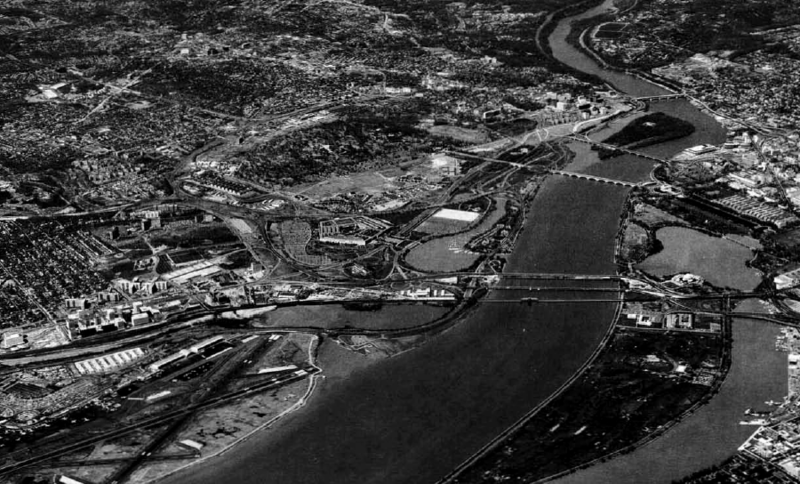 Businesses who relied upon the economic benefits from Federal office buildings inside the District were opposed to decentralization anywhere into Virginia, whether at the Washington-Hoover Airport or the Arlington Experimental Farm. There was time for debate. President Franklin D. Roosevelt had pushed through the Lend-Lease Bill in March and declared a state of unlimited national emergency in May, and German armies were advancing rapidly into Russia that summer. 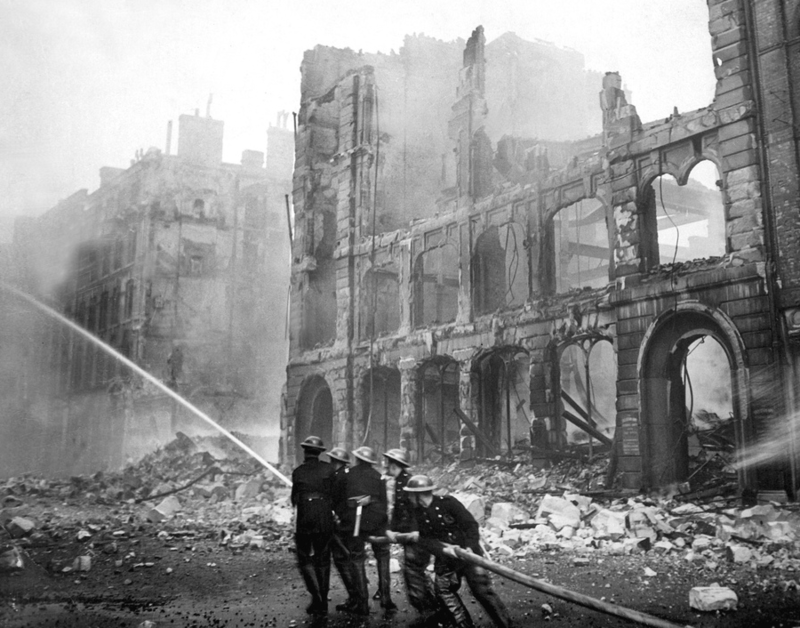 The United States was becoming the "arsenal of democracy," but it was not at war. The December 7 attack at Pearl Harbor was still over three months in the future. The decision process about where to build in Virginia lasted less than two months. President Franklin D. Roosevelt settled the debate on August 26, 1941. 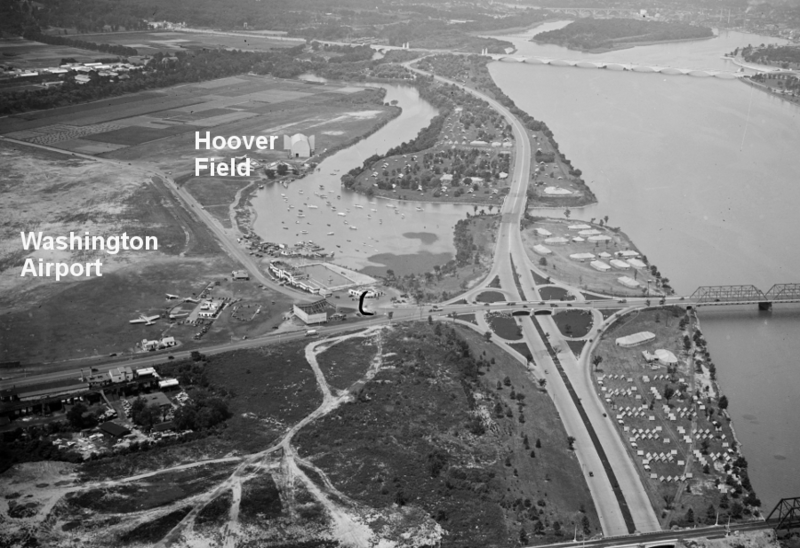 The location was moved back to the original site at the Washington-Hoover Airport, despite the floodplain concerns. The president's highest priority was not to satisfy his generals or save money, but to to get civilians to unite and commit to full mobilization in anticipation of the United States having to go to war. The president was still dealing with isolationists who insisted the United States avoid war in Europe, and sought to strengthen civilian support for his military buildup. 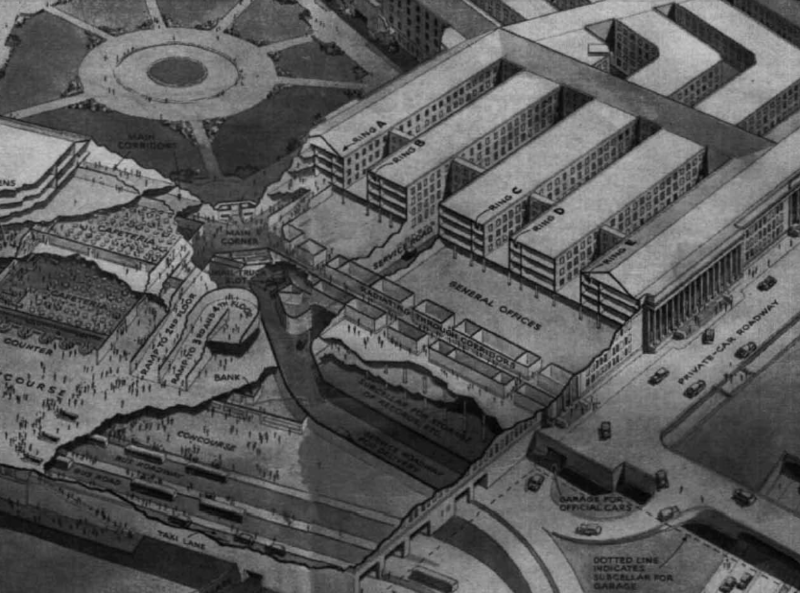 When choosing the site for the War Department headquarters, the top politician in the United States chose to over-rule objections from his military officials. He required that the design be submitted to the Commission on Fine Arts for its review, even though the building was not in the District of Columbia. The shape was distinctive, but the exterior was consistent with the Stripped Classicism style used at the time. In the District of Columbia, that same style was used for the Federal Reserve and Department of the Interior buildings, as well as the War Department building on 21st Street that ended up becoming part of the Department of State Headquarters. My dear General, I'm still Commander-in-Chief of the Army. However, the five-sided design was efficient and there was great urgency to construct the new office space, so Roosevelt declined to force a change. Any higher would have created a greater visual impact, and required more elevators. 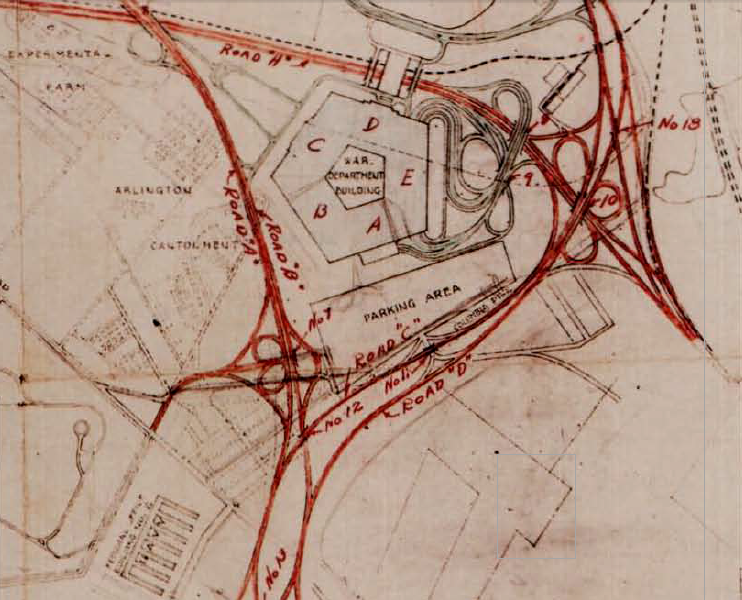 The flight path to National Airport skirted the building to the north, so adding another story would not have increased safety hazards significantly. The Foggy Bottom structure completed before the Pentagon, and expected to serve as the War Department headquarters, had a steel frame. Reinforced concrete was used for the low-rise Pentagon so steel could be use for ships, tanks, weapons, and other parts of the war effort. Limestone covers the outer walls of the E-Ring, which are 921.6' long. 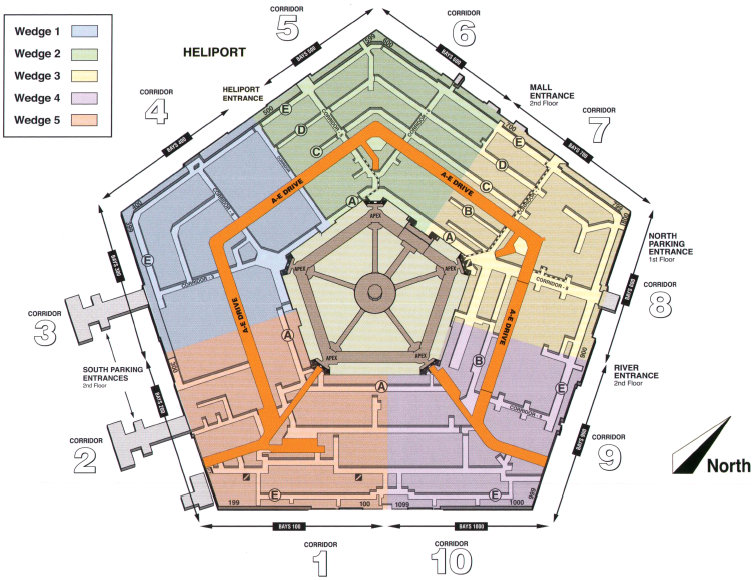 Due to the pentagonal design with five concentric rings, the walls of the A-Ring next to the courtyard are only 360.8' long. Each of the five rings is 50' wide, with a 30' gap between them. Esthetics of auxiliary buildings was considered, in addition to the Pentagon structure. Sewage treatment filters and tanks were built low to the ground. 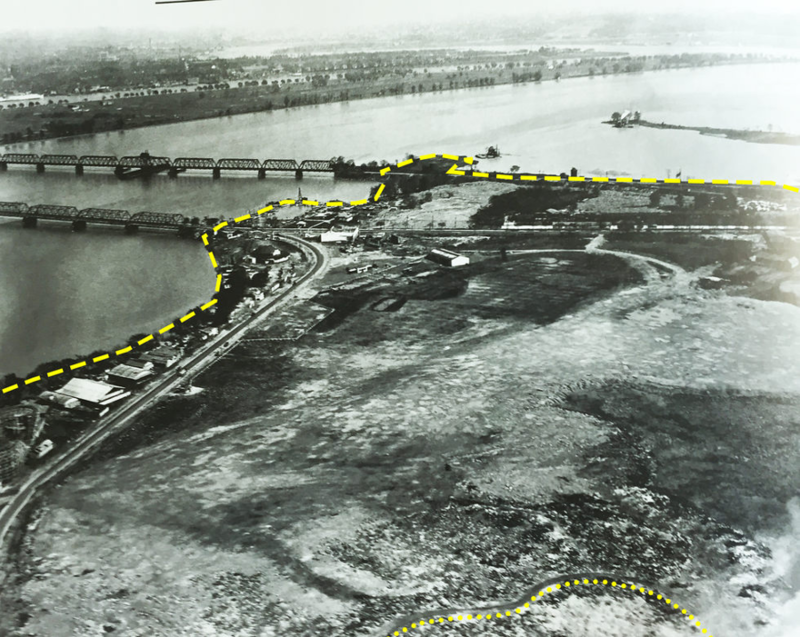 The boiler plant was placed in a separate building, away from the shoreline, and a 1,320' long tunnel was built to draw water from the Pentagon Lagoon and supply the heating/cooling systems. After use, that water is then discharged into Roaches Run Waterfowl Sanctuary lagoon next to Ronald Reagan Washington National Airport. Construction of the New War Department Building in Arlington formally began on September 11, 1941. No military officials were based there on December 7, when Pearl Harbor was attacked. Starting in 1942, the "New War Department Building" was called the "Pentagon Building." Office workers began moving into the building in the summer of 1942. The Secretary of War moved his office from the Munitions Building to the Pentagon Building on November 14, 1942. He invited the Secretary of the Navy to move his offices too, and the Secretary accepted. Resistance by other Navy officials scuttled the arrangement, and during World War II the Navy headquarters remained on Constitution Avenue. 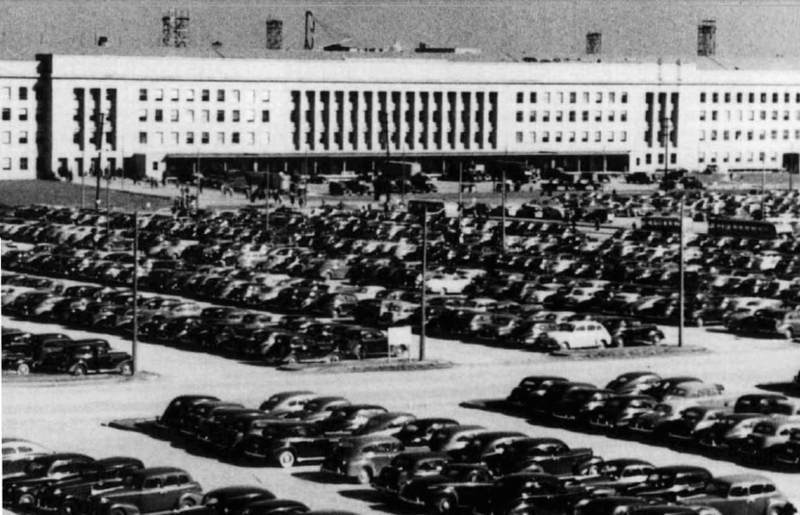 Construction of the Pentagon included a new road network and parking for 10,000 cars. From the beginning, workers drove to the Pentagon from places as far away as Fredericksburg and Baltimore. 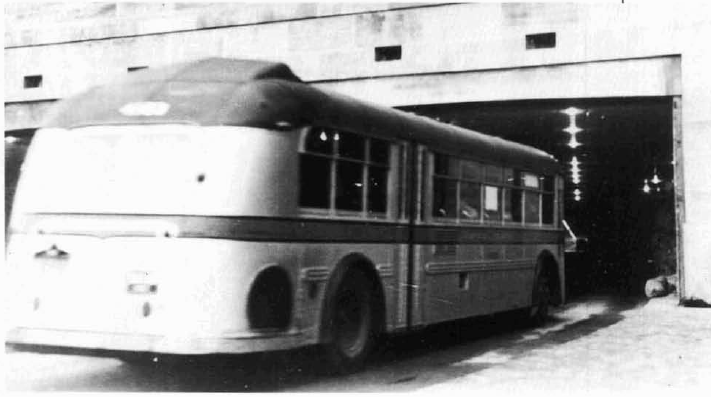 Roads leading into the building were designed for up to 28 buses at a time to load/unload passengers. During World War II, about 50% of the workers commuted by bus. The Government ended up acquiring 583 acres in more than 160 separate parcels. Brick factories, mess halls, and barracks for soldiers at Fort Myer were removed, as well as civilian-owned houses. The Eastern Airlines hangar at the airport was converted into offices for the planning and design staff during the construction phase. 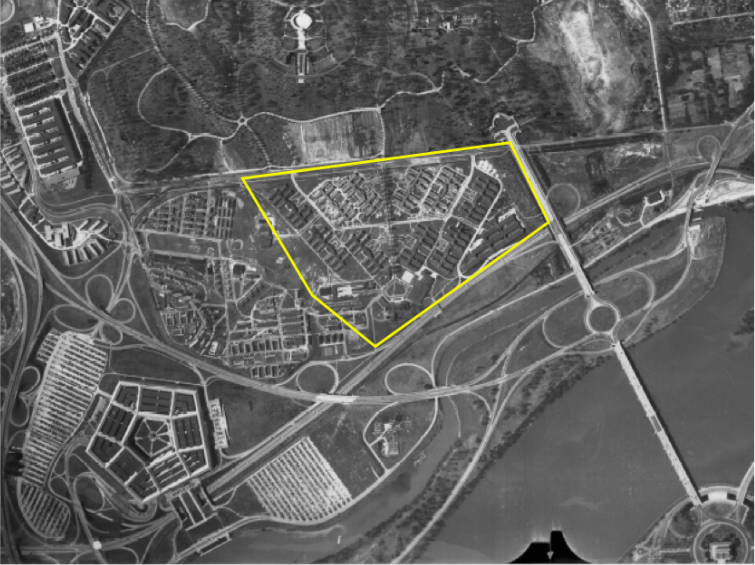 The land assembled for the Pentagon-to-be came from several different holdings of which the largest were the southern end of Arlington Farms (57 acres), the Quartermaster depot site (80 acres), and the Washington-Hoover Airport (146.5 acres). 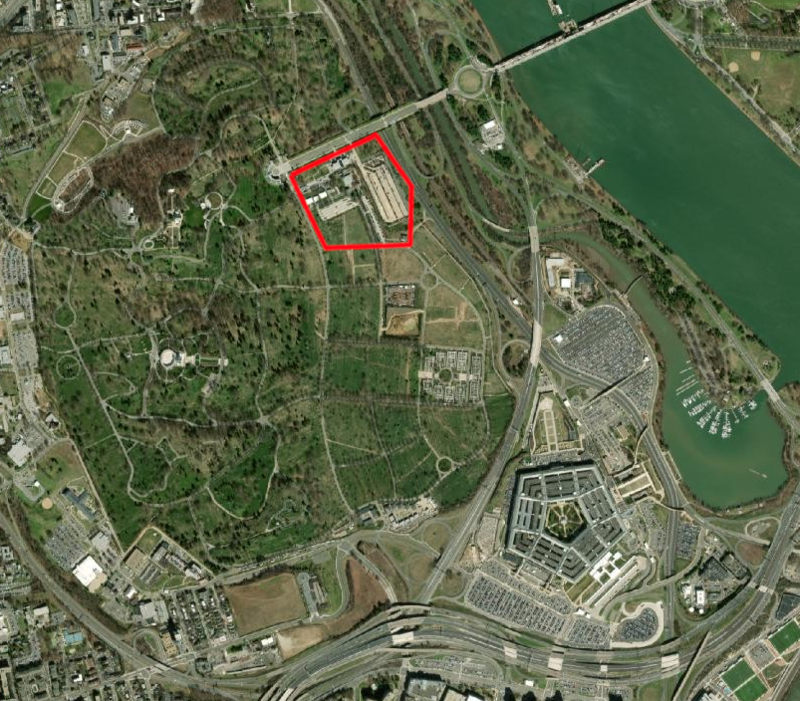 The Northern side of the Pentagon rests on Arlington Farms land; the southern and western sides are on Quartermaster land, and the eastern side is on land from the airport. More than the Washington-Hoover Airport was displaced. The largest number of residents forced to move lived in Queen City. Many were descendants of former slaves who had lived on the grounds of the Lee plantation. 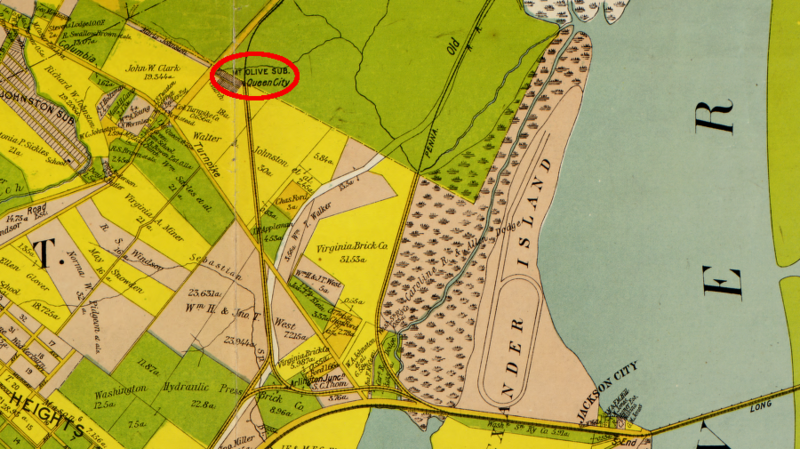 That land was seized by the US government and converted into Arlington Cemetery for the war dead, and into Freedman's Village for "contrabands" who fled to Washington, DC. When efforts to close Freedman's Village finally succeeded in the 1880's, Queen City evolved as a replacement. The Queen City community lacked running water and indoor plumbing, but many residents owned their own homes. 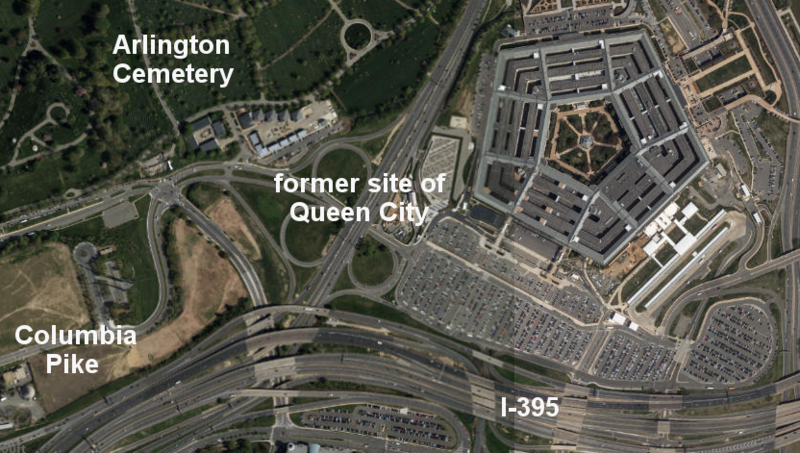 Planners of the Pentagon designed a road network for workers to access the building, and those roads ran through Queen City. Property of about 300 people was acquired by condemnation and used for the Columbia Pike interchange in particular. However, President Roosevelt issued Executive Order 8802 in 1941, banning discrimination by race for defense or government jobs. In response to that Executive Order 8802, A. Philip Randolph and the Brotherhood of Sleeping Car Porters agreed to drop plans for a march on Washington. President Roosevelt did not expect that the building would be needed for just the War Department after the end of World War II. Before initial funding was approved in 1941, some members of Congress suggested the structure would end up as a "white elephant." 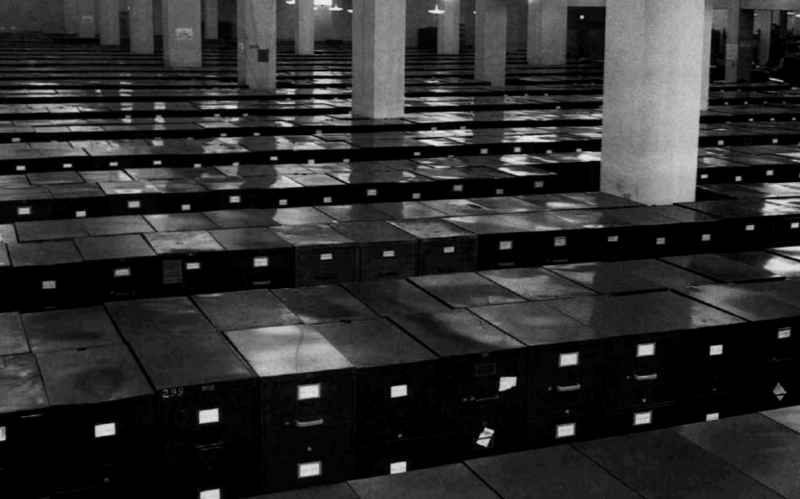 Various government officials considered repurposing it after victory as a records archive or a hospital. During the War, the Pentagon served as the headquarters for the US Army and its emerging air force unit. Employment during World War II peaked above 30,000 workers. The US Navy continued to be based across the Potomac River in the Main Navy Building, on Constitution Avenue. The Navy also took over the Munitions Building when the US Army moved to the Pentagon. 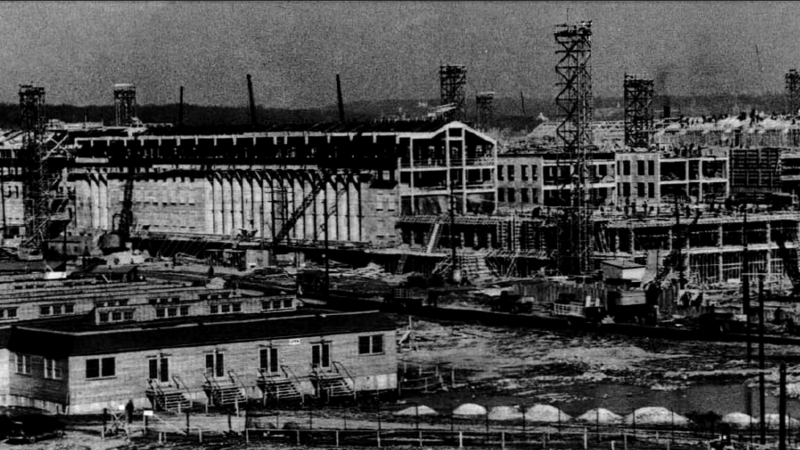 After victory in World War II, demobilization did not reduce the need for a large headquarters building. Other War Department offices in rented space were closed and personnel transferred to the Pentagon. In 1947, the separate military services were consolidated into a unified Department of Defense. The Secretary of the Navy was forced to move his office to the Pentagon in 1948, but the US Marines managed to keep a separate headquarters at the Navy Annex Building on Columbia Pike until 1996. That Navy Annex building was another "temporary" building with a long lifespan. It was built in 1941, and finally razed in 2012. Water on the floor was so hot you could feel it through your boots. 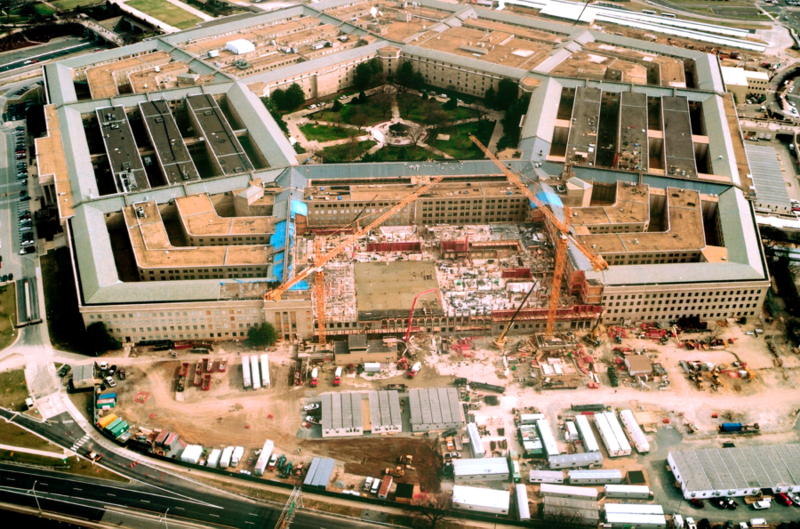 The General Services Administration was responsible for maintenance of the Pentagon until 1990. 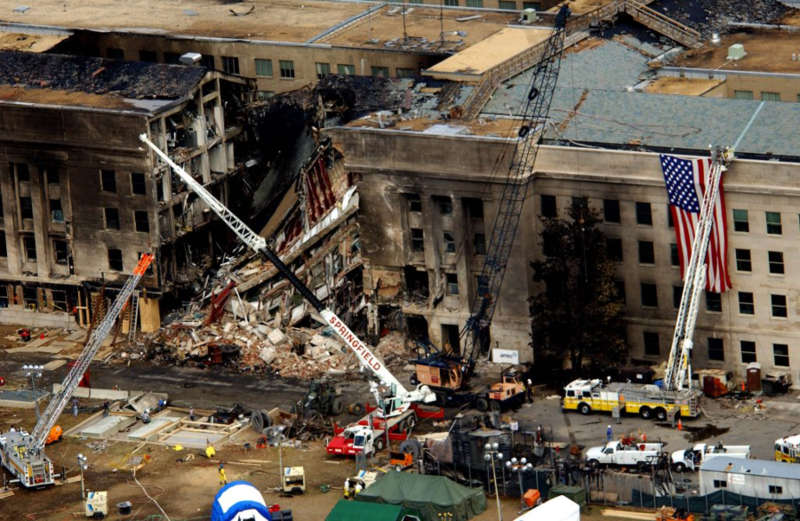 The Defense Department obtained new funding from the US Congress and started the Pentagon Renovation Program in 1994. The program ended up renovating each wedge individually, until completion in 2011. The renovation improved the reliability of electrical service, installed modern telecommunications capacity, removed asbestos, replaced sewers, and installed blast-resistant windows. During the renovation, terrorists hijacked American Airlines Flight 77 and flew it into the building on September 11, 2001. It penetrated from the E-Ring to the C-Ring. 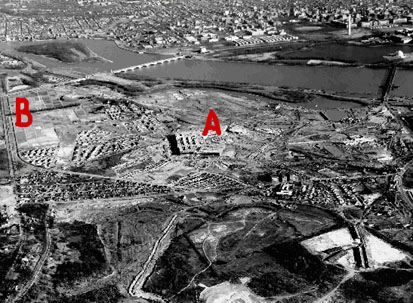 Before the Pentagon, Where Were the Military Headquarters? Is the Pentagon in Virginia?